If you’re like most successful sales professionals, when you meet a new prospect, you offer them a business card. It’s the first gift you give them as a professional – a small, rectangular piece of paper that succinctly provides your contact information. But it’s more than that – it’s the first tangible item most prospects receive that represents your professional identity. Business cards are a time-honored tradition, and the rise of digital communications doesn’t mean you should stop using them, because they do have real value. But new digital tools should prompt you to rethink the professional identity contained on the card beyond simply adding an email address or website link. These days, with about half of all Google searches originating from a mobile device, you need to think about building a bridge from your offline to your mobile identity, and your business card can help you do just that. By printing a QR code on your business card, you can leverage new mobile technology to share your online identity in a format optimized for mobile viewing – and take advantage of tools to track and update your online information. Enable wireless contact information exchange – the prospect scans your QR code with a smartphone or tablet, gaining instant access to a vCard you can easily set up. Provide access to hand-picked online data – you can direct prospects to curated bios, links, professional portfolios, videos, customer testimonials and more online. Showcase common connections – you can highlight common connections on LinkedIn and Facebook to quickly build rapport and credibility. Deliver geo-tracking capabilities and automatic text/email alerts – you can find out when prospects scan your business card’s QR code in real time to measure impact. A business card with a QR code also offers a unique branding opportunity. By working with a printer who specializes in QR codes on business cards, you can ensure a consistent brand identity across offline and online materials. QR codes also offer a personal branding opportunity: A QR code printed on a business card is still a relative novelty, and it brands the user as tech-savvy. In this way, it can serve as a shot of virtual Botox for older sales professionals in a world that increasingly values technology expertise across all business sectors. The right QR code strategy can enable sales professionals to easily create, administer, track and update their online identities on mobile platforms and access support across multiple users and accounts. It’s also important to work with a reputable printer to generate new QR code-enabled business cards quickly and accurately. Business cards are a great way to make a killer first impression, but today, most prospects will go online to find out more about you, and chances are good that they’ll use a smartphone or a tablet to do a search. A business card with a QR code gives them a fast and easy way to find relevant professional information – and gives you new control of your online identity. By establishing a mobile-optimized online identity and directing prospects to your hand-picked information via a QR code printed on a business card, you can build relationships – and close deals – more quickly while making a great first impression. James Alexander is founder and CEO of Vizibility Inc., the world’s first mobile business card platform for small, medium and large organizations. A serial technology entrepreneur, James was involved in two other successful startups and served as a product management executive at Adobe Systems prior to founding Vizibility. Google James at viz.me/james. Learn more about the company and its online identity management solutions at www.vizibility.com. First, we think it’s a fitting way to congratulate MOO.com for their strategic entry into mobile business cards with their recent acquisition of Flavors.me and announcement of an NFC business card product to be released in 2013. Richard Moross, CEO and Founder of MOO.com, said in a press statement that “As we look to the future of personal and professional identity, MOO.com is excited about building closer ties between print and the web – helping better-connect customers’ virtual and physical worlds through smart objects and online identities.” MOO.com printed 50 million business cards in 2011 and is expecting this to grow to nearly 100 million in 2012. As one of world’s fastest-growing online printers, other printers have taken notice and are starting to think about how they’re going to stay competitive and relevant in a connected world. That brings me to the second reason why we’re so excited…and why we made our announcement at GraphExpo. We are deliberately offering NFC Mobile Wallet Cards to the customers of multiple printers to make the point that any printer can offer rich mobile business cards right now with Vizibility’s mobile identity platform. In addition to affiliate integrations with Vistaprint and MOO.com, high end printers like ALL-STATE LEGAL are winning more business because they now offer a complete integrated solution. Besides the more futuristic NFC technology, Vizibility also supports more mainstream QR codes and soon, Apple Passbook. With QR codes, printers enjoy more printing business when business cards get reprinted with the code. Vizibility can also deliver 50%-100% uplift on that business card order with the purchase of mobile business card metrics. The printer’s Vizibility revenue is also new recurring revenue, as the QR code effectively electrifies the business card with a useful, hosted service. Now, printers have been printing QR codes for their customers for years. The reality, however, is that the code itself is meaningless. So is NFC for that matter. These are just ‘digital bridging’ technologies to get you from one place (usually paper) to someplace else (usually online). Customers typically have to have their own destination for the QR code to point to. MOO.com is continuing this tradition with their NFC offering. Their NFC business cards come unlocked requiring users to program the cards to point wherever the user wants. This approach is fine for the sliver of early adopters who understand that these ‘digital bridges’ must deliver a mobile experience and who have the expertise (or patience) to create one. But this approach does not scale for the rest of us…or for organizations that want to offer mobile business cards for several, several dozen, several hundred or even several thousand people. Vizibility’s platform solves this problem. Vizibility is the leader when it comes to helping people package and share their online identities using rich solutions like mobile business cards. Mobile business cards can build credibility quickly by delivering a powerful, accurate and lasting first impression. We’re excited to be democratizing access to cutting edge mobile business card technology by putting it in the hands of any printer and web-to-print provider which wants to offer it to their customers. While large printers may be investing 12%-15% of revenue into R&D, most printers don’t have that luxury. Now they have one less thing to worry about and one more thing that can help strengthen customer relationships while setting them apart from the competition. (September 2012) Despite the advance of social networking, business cards have stayed the same for decades. They might have your email address, Twitter handle, or LinkedIn user name, but they’re still card stock rectangles you have to keep track of, with information you have to enter manually. Vizibility offers an update to the old-school business card with its Mobile Business Card service, a combination of online business card hosting, Web search analytics, and Web, QR code, and NFC tools to bring as many people as you can to your online business card. The service is free, but most tools are only available through the premium membership levels. In today’s technological world, it is critical for businesses to have an online mobile presence that contacts can easily access. More than 50% of online searches now begin on a mobile device. Approximately 500 million Facebook users have used mobile devices to access their pages. Professional networking site LinkedIn has reported that nearly one quarter of its unique visitors in a recent three-month period accessed the site from a mobile device. Yet mot accounting firms don’t have mobile-optimized websites, even though a weak or nonexistent mobile presence can cost an accounting firm business. Forming a personal connection with a prospect is the first step toward closing a deal. That’s because people prefer to buy from someone they know, like and trust. As a sales professional, you need to make it easy for people to get to know you. It’s great if you have an “in” with a prospect through a mutual friend or trusted referral. But today, the process of making a personal connection often begins online. How many times have you Googled a prospect? How many times have you given your name over the phone and heard a prospect typing in the background to Google you? It happens all the time. That’s why it’s critical to control your online identity and make it simple for prospects to get the right information about you at the right time. So wouldn’t it be great if your printed business cards had a way to share your complete professional web presence? Imagine being able to instantly share your background and qualifications, customer testimonials, product demonstration videos, even schedule a follow-up meeting. Suddenly one of the most passive tools used by every successful sales pro comes to life, engages and starts working for you long after you’ve left the meeting. Mobile technologies like QR codes are a great way to share the right information and position yourself as tech-savvy when meeting prospects on the go. QR codes are the small square barcodes you see everywhere. And now they’re being used for people. Think about QR codes as digital bridges for your printed business card to your mobile business card, allowing you to wirelessly exchange information with prospects via their smartphone. Prospects and clients can instantly access your contact information, hand-picked bios, links, portfolios, videos, testimonials or other information that builds credibility and trust. And with metrics and tracking you’ll even know when they’re doing it. Easy setup for sales organizations of all sizes so you don’t have to distract the sales force to roll it out. Discovering common connections or mutual interests on LinkedIn and Facebook is a great way to forge the personal link you need to power up your sales pitch. vCard download is the best way to get into someone’s address book accurately. Appointment scheduling to help shorten the time between initial contact and the first meeting. Metrics with geo tracking to help find out who is viewing your mobile business card, including details such as organization name, type and location. Real-time alerts when business cards are scanned so you know when people are engaged. Alerts can also including time, date, location and more. Custom branding to make sure your brand carries through from your offline identity to your online identity. Powerful administrative tools to help your organization manage and monitor all of your mobile business cards and metrics in one central location. Integration with printers so you can get your new business cards quickly with the QR code printed properly. Even if a prospect doesn’t have your printed business card, since more than half of all online searches now originate on a mobile device like a smartphone or tablet, it’s more important than ever to have a mobile business card that could appear in your search results. Once you build and start managing your online identity for you and your team, prospects will gain a clear vision of who you are and what your organization can offer, and you’ll be well on your way to creating the trust and respect you need to close more deals. 1 in 2 company marketers say they are using QR codes to encourage their customers to interact with their brand, per results from an Econsultancy survey released in June 2012, in partnership with Responsys. QR code usage by these respondents surpasses other mobile channels, including creation of applications (35%), mobile commerce (29%) and mobile optimized emails (29%).Roughly one-quarter are using SMS marketing, while less than 1 in 5 are employing location-based marketing. Just 7% have turned to MMS and 2% to NFC. We recently received some coverage on TechCrunch about the launch of our new NFC Mobile Wallet Cards. These new Vizibility NFC Mobile Wallet Cards, as well as our personal QR codes, will instantly direct the person scanning right to your online Mobile Business Card. Using technologies such as NFC and QR codes are an easy way to advance your mobile strategy. But they do not come without challenges. With the range of options…and the ease of implementation of many of them…it is very easy for some avoidable mistakes to creep into your mobile marketing strategy. So what are the things you should consider when planning your mobile marketing strategy for your professionals and your firm? First, for networking situations the information transfer has to be instant. There are plenty of beautifully designed mobile apps to help with professional networking. However, in our opinion you should avoid requiring a separate app because it is highly unlikely that you’ll have critical mass in any networking environment. Just study Bump. Or better yet, ask 10 random people how many have downloaded the LinkedIn app. Scanme.com requires an app (step 1), presumably logging in (step 2), manually entering a multi-digit code from a business card (step 3), etc. Of these three steps that’s two steps too many. Other companies are also headed down this path. You have to work with what’s native on the phone (or have a deal with the carriers and mobile OS’s to make your app native…that’s big $). Vizibility’s Mobile Business Card is an HTML5 web app and ‘just works’ in any mobile browser with any QR code or NFC scanning app that can process a URL. These are native apps on most devices. It’s one step. Scan the QR code or touch the card to the phone with NFC. The next thing you see is the person’s Mobile Business Card. It’s fast and snappy. There are probably other approaches but that’s ours. Second, value creation is not in QR code generation or in the NFC chip or its encoding (whether in paper, plastic or some other medium). These are commodities. The value is created in the experience that is delivered after it’s scanned. This is where marketers haven’t done a great job and why QR codes have gotten a bad rap. 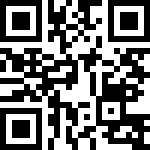 In fact, there’s even a site that tracks marketers stupidity when using QR codes. NFC for non-payment applications will suffer the same fate unless marketers and their service providers get on the ball and start delivering smart, mobile optimized experiences. One other point to make here is that NFC will not replace QR codes…rather NFC will be to the QR code what television is to radio. For instance, we have a large law firm client McCarter & English who dynamically adds their lawyers’ personal QR codes to their PDF bios that are downloaded and printed from the firm’s website. That’s a great application for personal QR codes because you cannot download an NFC chip. Third, offer more than just what’s on the business card. Vizibility is not an NFC or QR code company. Vizibility is an online identity management company for individuals and the enterprise. We help people control, share and track their professional web presence…on the web and on the go. We use a variety of tools, like the Mobile Business Card, to help people share their online identities quickly. We go well beyond what’s on the business card. For instance, we enable people to create a “Google Me” button that brings up just their personal Google search results. This “Google Me” button is on the Mobile Business Card but can also be added to websites, email signatures and LinkedIn profiles. The vCard is a commodity so find ways to differentiate your offering to add value to it. CardMunch falls down here. It’s fine for transcribing what’s on the business card itself but its utility will diminish as people pro-actively start curating their online identities and link to them off business cards. The present incarnation of the LinkedIn profile is not the answer either because it generally does not include the contact information you have on your business card (unless you’re first degree in which case you probably already have that info). Big opportunity for nimble companies to fill the gap here. Finally, would you rather sell one set of business cards to a 1,000 people or would you rather sell 1,000 sets of business cards to one person? I’d rather do the latter (and do that 1,000 times). Successful services in this segment will understand how SMBs and large companies will buy personal branding services and build enterprise class systems to make it easy to inexpensive to quickly build dozens, hundreds or thousands of Mobile Business Cards that put creative control and account management in the hands of the marketing and purchasing departments. For instance, we have several APIs that enable our partners to create accounts on our system for their clients. We also support mass account creation from a simple Excel file. Branding elements in our Mobile Business Card can be locked down by marketing. And we offer what we think is the first ever firm-wide Online Identity Manager, a roll up of all accounts under any one company so designated corporate admins can easily manage the accounts, view tracking metrics, etc. These are non-trivial systems and have to be well thought out. It’s exciting to see so many companies entering this segment. The net result of the competition will be amazing products and services for consumers and professionals.